So far, almost every effect/technique explained in this series was not really Witcher 3-related. I mean, you can find things like tonemapping, vignette or calculating average luminance almost in every modern video game. Even drunk effect is something quite widespread. That's why I decided to take a closer look at "witcher senses" rendering mechanics. Since Geralt is a witcher, his senses are much more sensitive comparing to an ordinary human. Therefore, he can see and hear more than other people which greatly helps him with solving his investigations. 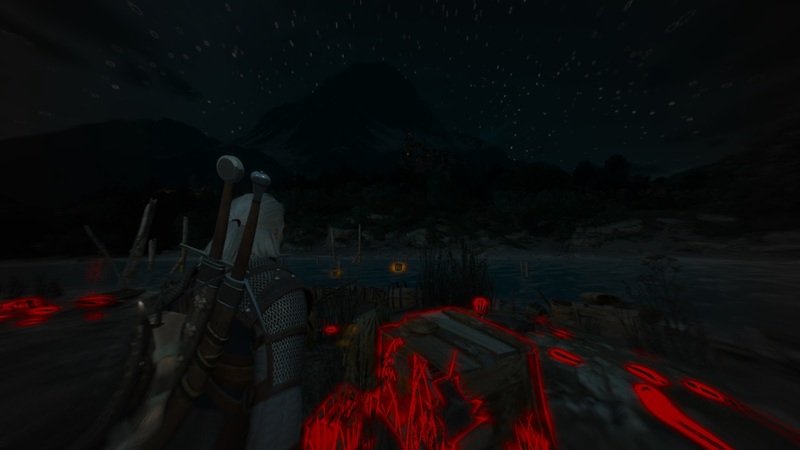 Witcher senses mechanics allows player to visualize these traces. The effect is quite complex so I decided to split it across three blog posts. In the first one I will describe selection of objects, in the second one - generation of outline and the third one will focus on final combining all this together. As I mentioned, there are two types of objects so we want to distinguish between them. 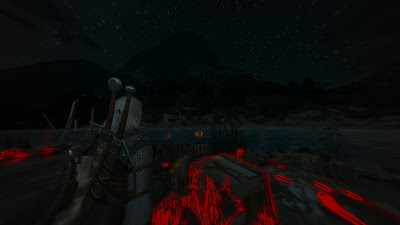 In The Witcher 3 it's done by using stencil buffer. 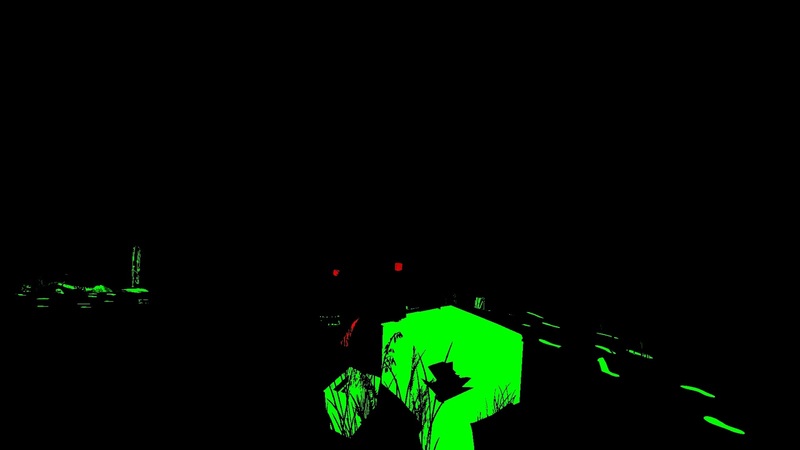 While generating GBuffer meshes which are meant to be marked as "traces" (red) are rendered with stencil = 8. Meshes which are marked with yellow color as "interesting" are rendered with stencil = 4. Stencil buffer is generally quite often used to identify meshes drawn by assigning the same ID to certain categories of meshes. The idea is to use Always function with Replace operator once stencil test passes and Keep operator in other cases. // Stencil operator for back face. For this pass, in terms of implementation there is one R11G11B10_FLOAT full-screen texture which will be used to save interesting objects and traces in R and G channel, respectively. In terms of intensity - why exactly do we need it? It turns out that Geralt's senses have, well, limitied radius so the particular object starts to be outlined when player is close enough. We start by clearing the intensity texture with black color. Okay, but how we distinguish here which pixels will be considered? We have to use stencil buffer! 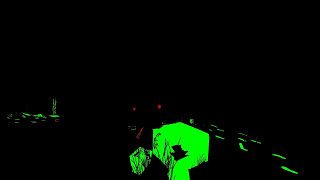 During each of these calls a stencil test is performed to accept only these pixels which were marked before with "8" (first Draw call) or "4". StencilValue is value of stencil buffer in currently processed pixel. It's important to be aware that we use binary ANDs to calculate operands. Ha! Clever. As you can see, in this scenario we don't compare stencil value but rather we check if particular bit of stencil buffer value is set on. Every pixel of stencil buffer is uint8, so we have [0-255]. This pixel shader writes to only one render target, so lines 24-27 are redundant. The first thing which takes place here is sampling depth (with point clamp sampler), line 1. This value is used to reconstruct world position by multiplication with special matrix and, after that, perspective division (lines 2-6). 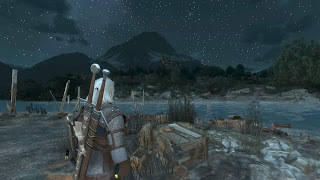 Having Geralt's position ( cb3.xyz - please note this is not a camera position! ) distance from Geralt to this particular point is calculated (lines 7-9). - cb3.y - distance scaling factor. This directly affects radius and intensity of final output. Later we have a bit tricky formulas to calculate intensity depending on distance from Geralt to object. My guess is that all coefficents were selected experimentally. 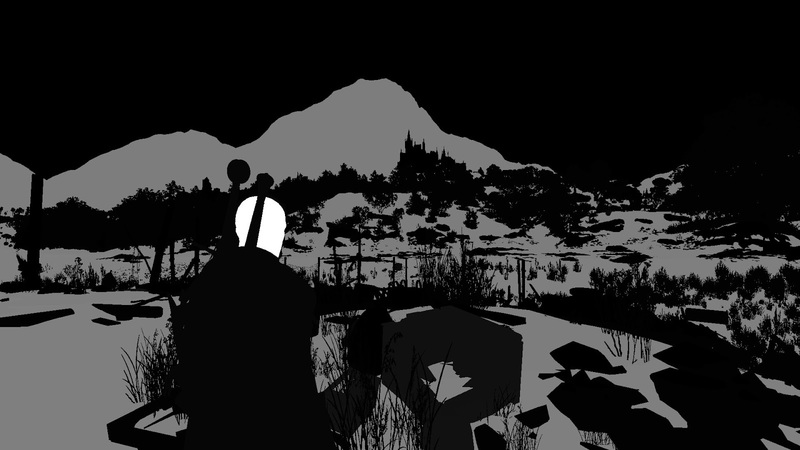 And small comparison between original (left) and my (right) shader assembly. This was the first stage of witcher senses effect. Actually, the easiest one. Go to the second one here.